He wasn’t joking about the effectiveness of this technique. What makes Active Release special is that it directly targets the affected area to break down scar adhesion fast – giving relief in as few as 1-5 visits. I got relief after my first visit, and between these treatments and the increased strength I’ve gained from crossfit, my knee feels better than it has in ages. I’m so grateful to have found someone who could really help me. 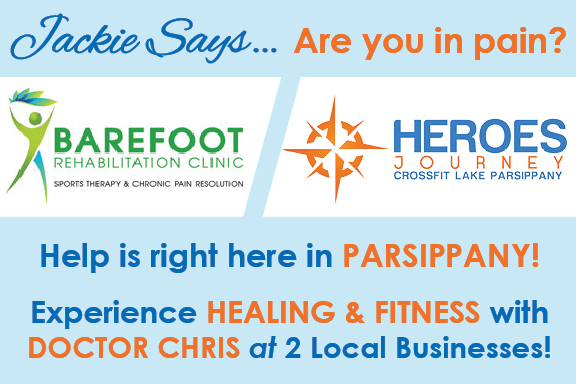 Whether you’re looking for a workout that can be customized according to your abilities, a comprehensive nutritional plan, pain relief, or the whole package, you’ll find help from Dr. Chris and the amazing staff at Barefoot Rehabilitation and Heroes Journey. I’ve never met more kind. caring people and, thanks to Dr. Chris, I trust my doctor again.